Our volunteers are caring individuals who enjoy the company of seniors. They choose the amount of time and services that they are interested in providing. Must have a heart for helping others, especially seniors. Fill out a basic application (Click here for printable form). Background checks are done with State and Local Police. 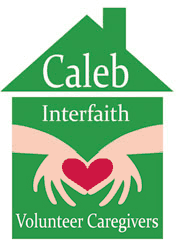 Attend a training session at the Caleb office. Transportation volunteers must provide copies of automobile insurance and drivers license. Mileage reimbursement (50¢ per mile). You can also call us at 603-837-9179 or email us at calebcaregivers@gmail.com.